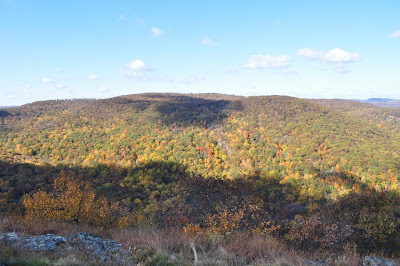 Bald Mountain is really the western peak of Dunderberg Mountain. It has sweeping views north and east, and requires a scenic and challenging hike to get to it. 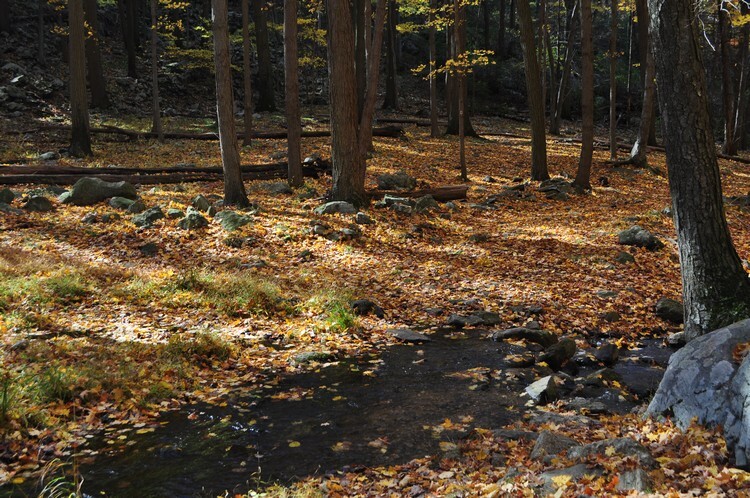 we parked at the Cornell Mountain Trailhead on Route 9W, right near the road to Iona Island. 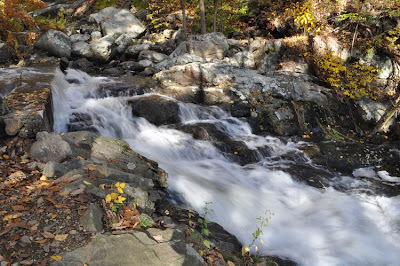 The first part of the trail starts by a small cascading waterfall, and this part of the hike is very scenic. After a few minutes, to the right, is another very scenic waterfall. The trail continues on a relatively mild ascent until it hits the foot of the mountain, where it then zigzags steeply up. 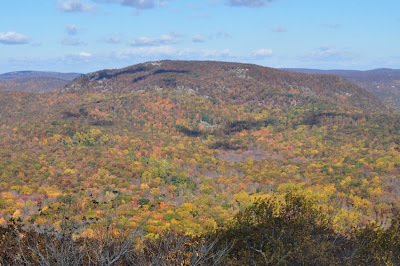 Near the top is the intersection with the Ramapo-Dunderberg Trail, which we took west towards the view. 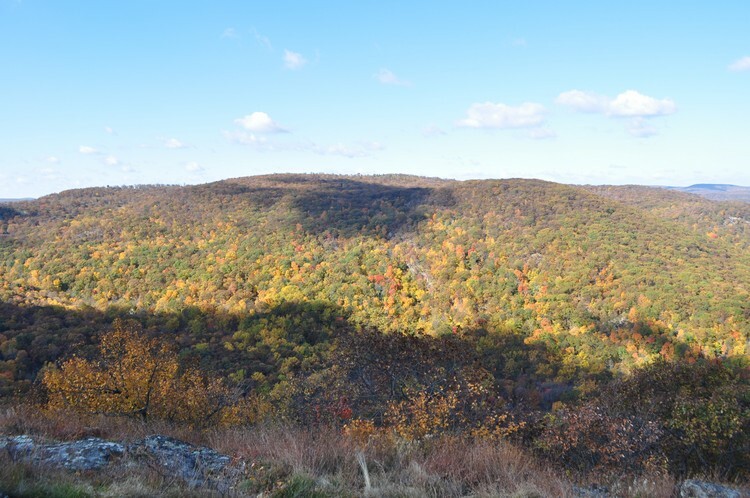 There are some small mining pits in this area, remnants of the larger Cornell Mine which is a several hundred feet below the view. 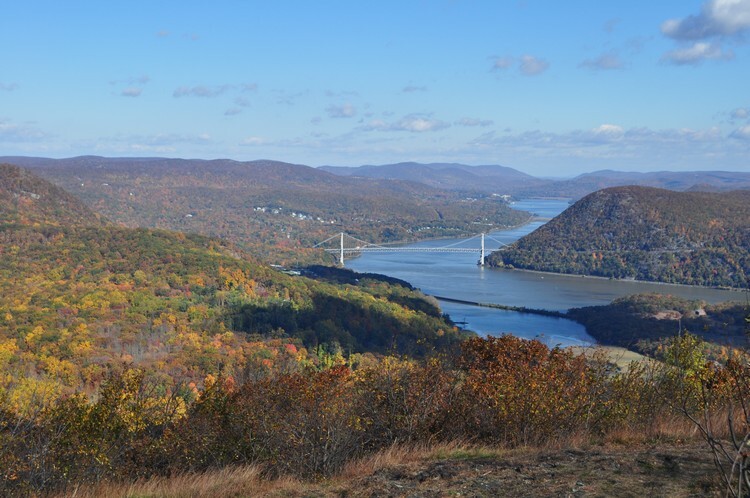 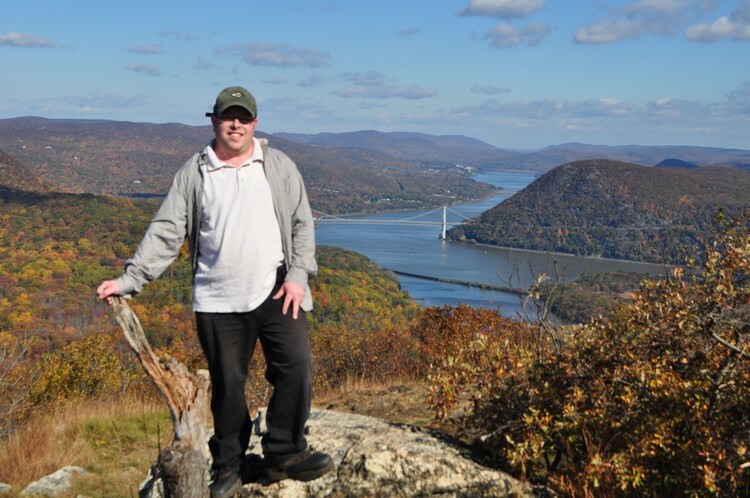 At the view, one can see points north from the Hudson at the Bear Mountain Bridge, Anthony's Nose, Bear Mountain, West Mountain the west, and The Timp to the south/southwest. 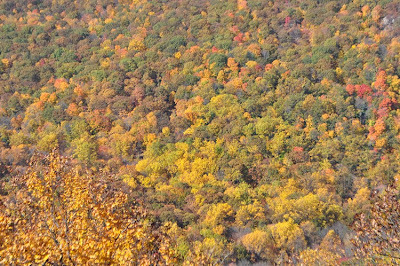 From the view we continued along the trail, slightly descending until the 1777 Trail. 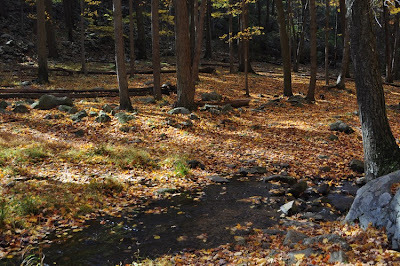 The 1777 is a wide trail that follows the path of an old woods road. 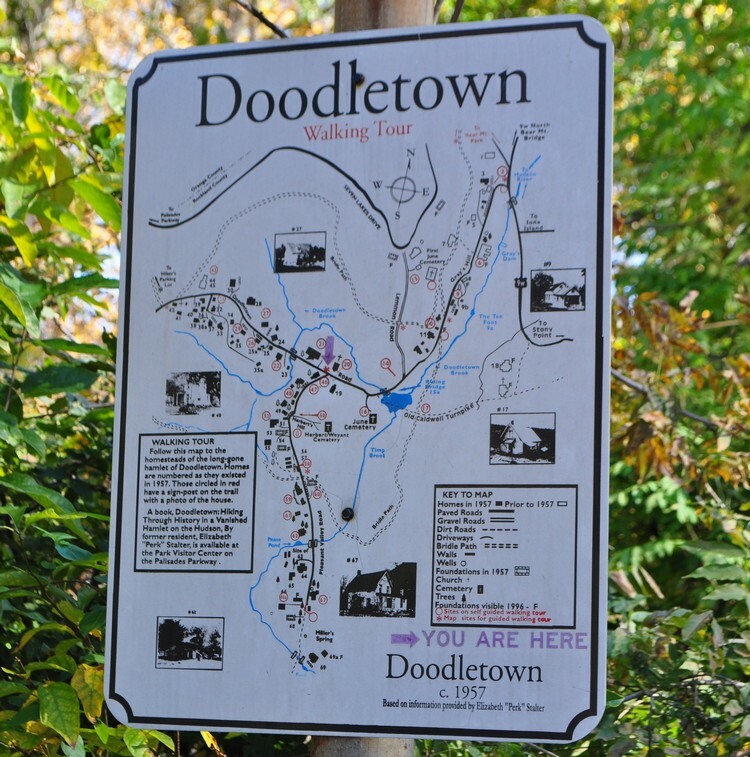 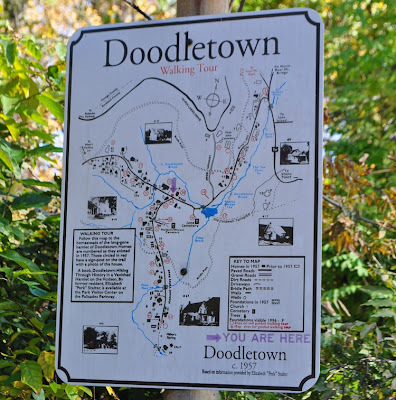 As it continues descending, it eventually enters Doodletown, which is an old ghost town that the state purchased in the 1960's and forced everyone to evacuate. 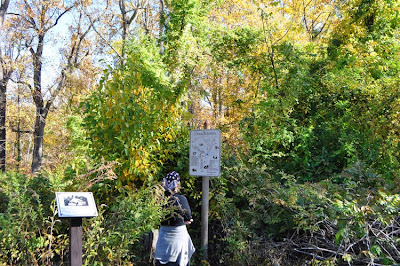 Markers label the historic sites in the old ghost town, and its an interesting walk. 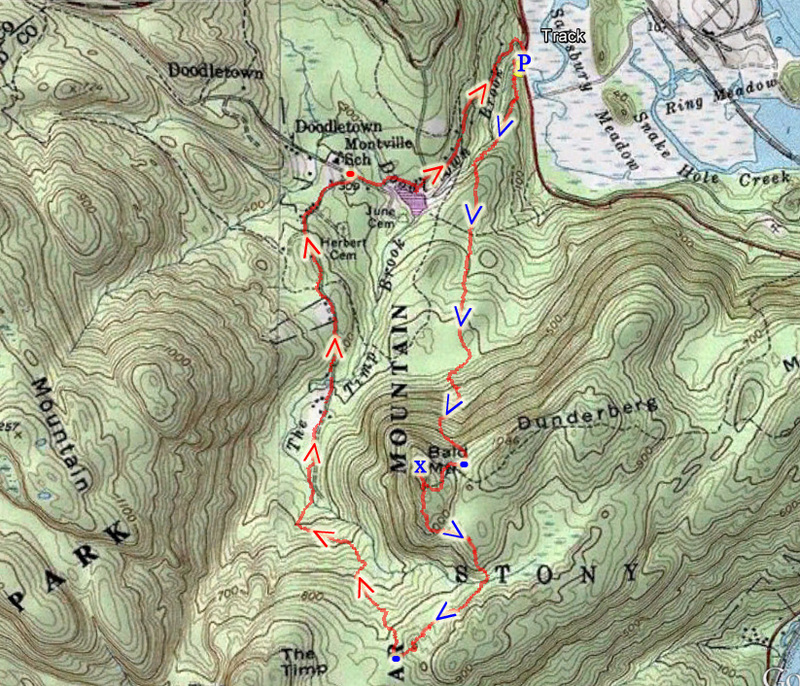 Continued at the split on the 1777E Trail (the 1777 trail splits into the 1777E and 1777W Trails), and eventually back down to Route 9W at the trailhead. 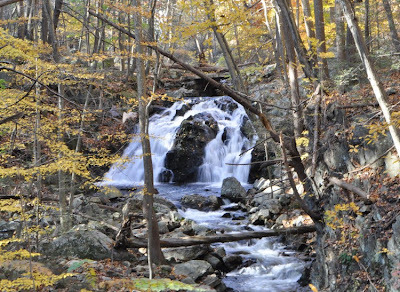 Cascade at the very beginning of the hike. Waterfall known as the "Ten Footer"
towards the Bear Mnt Bridge spanning the Hudson River. 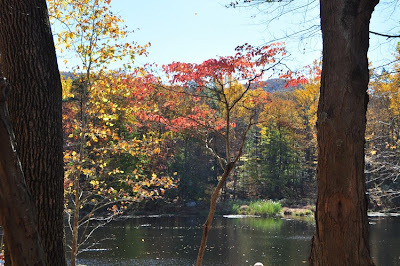 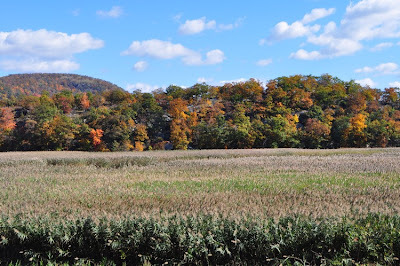 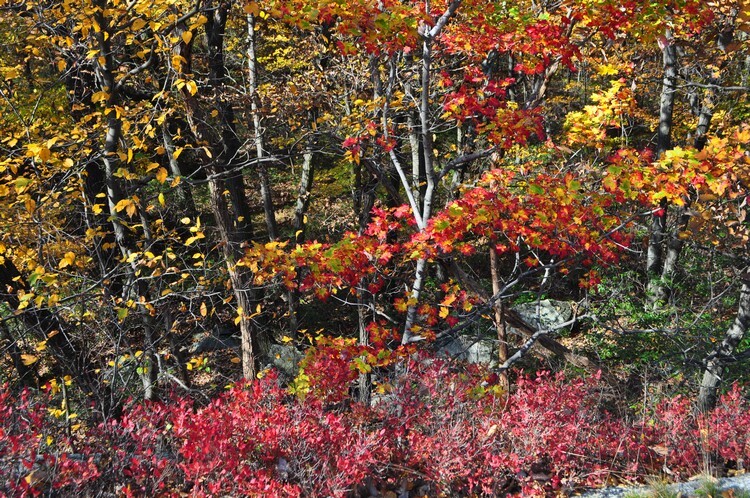 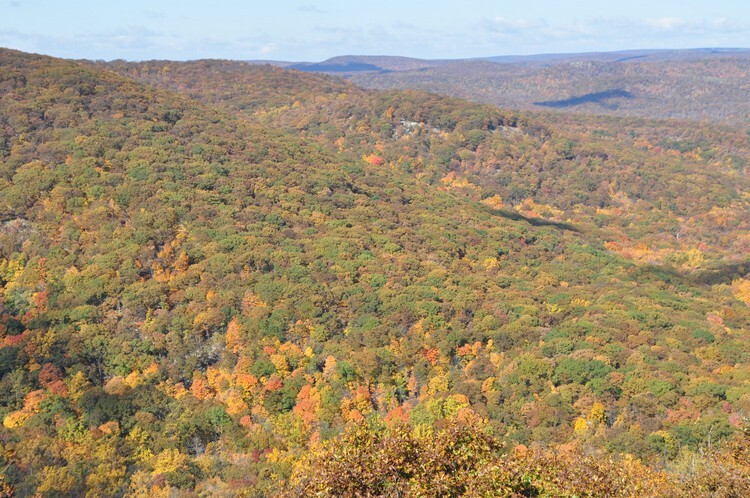 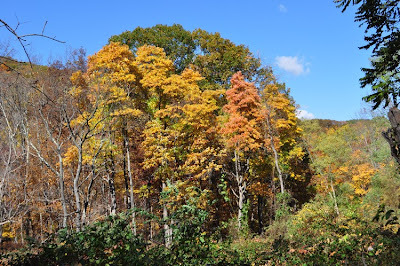 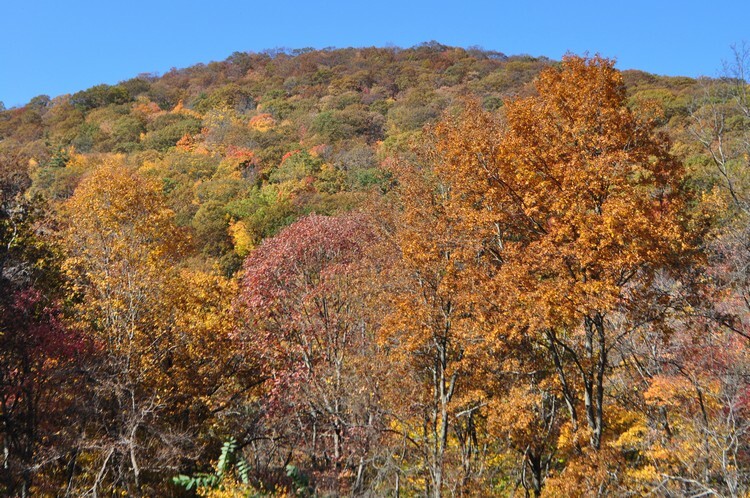 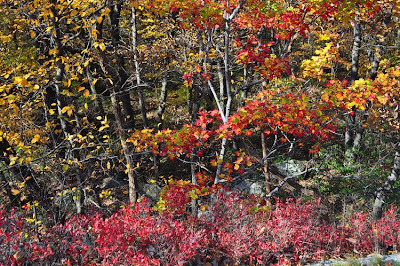 Beautiful Fall Foliage surrounding and atop Bear Mountain. Facing North. 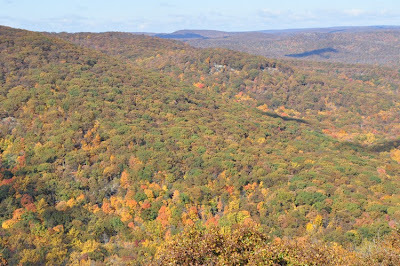 Facing west towards West Mountain from the Bald Mnt View.